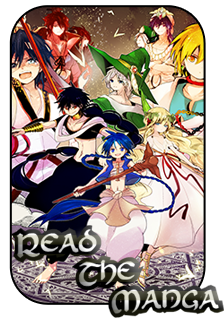 Magi: The World of Magic » The North » Imuchakk Village » Iweth's happening? Job Overview: The village is under attack by beasts called the Iweth. Protect the village at all costs and make sure no civilians get injured. Get rid of the beasts by either chasing them off or killing them. Description: Standing at almost 2m tall, this beast is very similar to that of a lion, though its fur is white and is mane is slicked back. On the right side of its flat face, there are strange red markings that glow mysteriously. The Iweth move at 10 m/s and deal passive D-tier damage with claws and teeth. Roar: The Iweth unleashed a mighty roar that travels up to 5m with a speed of 10m/s. If hit, it causes Disorientation for 1 post. It's a calm cold day in Imuchakk. Birds are flying overhead and the sound of the waves splashing on the nearby shore. The symphony of nature seems to sing a beautiful lullaby to those that wish to hear it. A young boy is sleeping peacefully atop some rooftop when suddenly. A thundering sound of bells echoes throughout the entire village signifying there is an emergency. Hohotaro is little miffed with all the racket hindering his sleep. He peeked down from the roof to the road and asked one of the men running towards something. "Hey oldman, where are you going?" "I'm going to a fight!" the middle-aged man answered fist clenched and smiling with excitement. "There are foolish beasts trying to attack the village, so our fighters are going out to hunt them all down!" "So it's the law of the tribe right? The spoils goes to the hunter?" Hohotaro asked in interest. "Of course! That's the reason I'm heading there. I heard that just the fur itself is ten times those of wolves. So if I were you, I would hurry, those things are just limited!" by that the continues running towards the entrance of the village. Without missing a beat, Hohotaro leaped out from the roof going over the man, landed in front of him and dashed forward. "Thanks for the info old man! See ya!" Hohotaro smiles and waves as he leave the man in the dust. Hohotaro arrived in front of the village where most of the attacking animals are located. Imuchakk warriors are fighting some kind of a lion. A white lion with a glowing red marks on the front of their faces. They looked quite majestic, Hohotaro understood why they would sell for quite a sum. Hohotaro looked around and saw one that is relatively alone in the middle of the square. He smiled and made a beeline for it. The Iweth saw him approaching and glares at him. The red marking on the beasts eyes glows brighter it breath in and let out a terrifying Roar. Hohotaro felt the inside of his ears ringing, he lost balance and drop to one knee on the ground. When he regained composure the iweth was already right in front of him. Hohotaro tried to put his guard up but it was too late and the claws dug into his arms tearing his skin open. Angered Hohotaro unsheathe his sword and swing at the Iweth twice. He must have hit a critical part because it just dropped down dead. He dragged the body aside and hidden it under some barrels. While he was busy with the marking another Iwath attacked. Hohotaro turned around just in time to see it approaching. The Iweth tries to chomp down on Hohotaro but he drops his sword and parries the incoming blow he then followed through with a axe kick on the Iweth's back. Hohotaro heard some bones breaking and now he have two kills. He picked up his Hook swords looked at it and thought to himself. "I should really learn how to do that with my hook sword. It's a hassle to drop it just to defend against attacks... Anyway..."
He hides his second kill and went out to find another target. By the time Hohotaro arrived at the entrance there were almost no enemies left. He was a little dejected but then he saw one, it was a little bit larger than the rest even by just a smidgen. Of course he's not the only one who saw the Iweth. Almost all of the tribesmen present come rushing towards the beast. But Hohotaro just stayed back and watched for a while. The red markings of the Iweth begins to glow brighter and it let out a loud Roar. Everyone around the Iweth clutches their head in agony and drops to their knees. This is what Hohotaro was waiting for. He then swiftly runs toward the Iweth and delivers a dropkick on it's side. The beast fell down motionless and Hohotaro claims the last kill.